The project consisted of the development of a dynamic design for this sales and marketing company specializing in representing vendors in the health & beauty, general merchandise, and food related products categories. Their specialization in developing and reinforcing brand identity for their clients required that they too had a strong brand image. 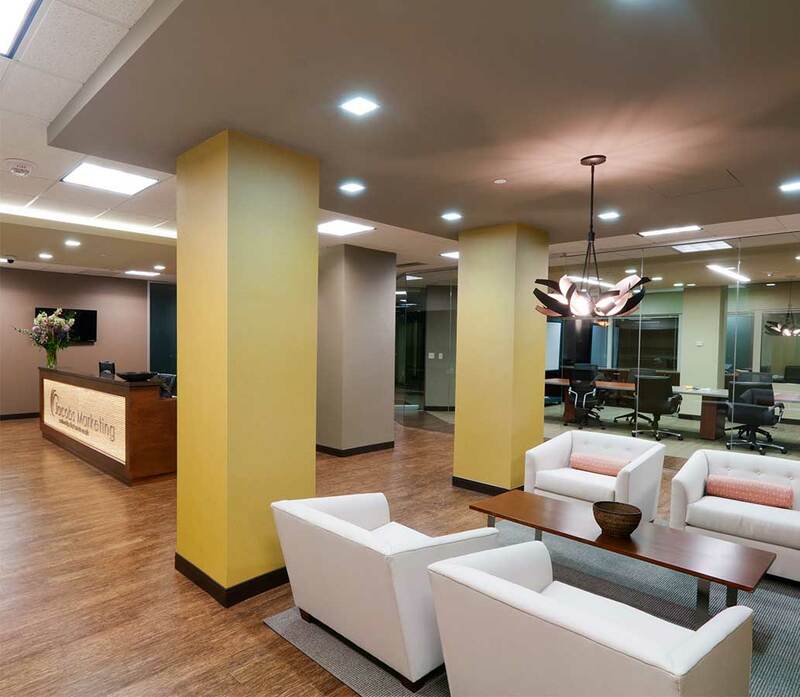 The design concept created an open, warm, and inviting environment. Contemporary and more traditional elements were used together to create a transitional feel. 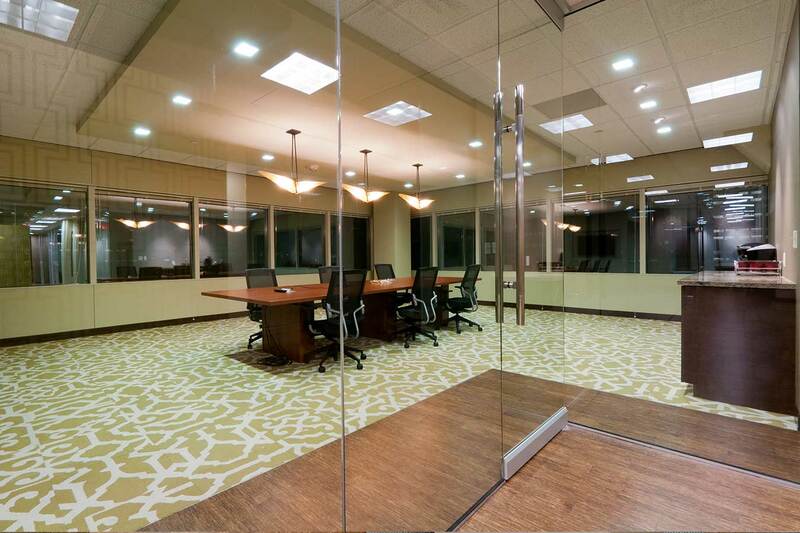 Streamline detailing throughout also gave the space a more contemporary feel. 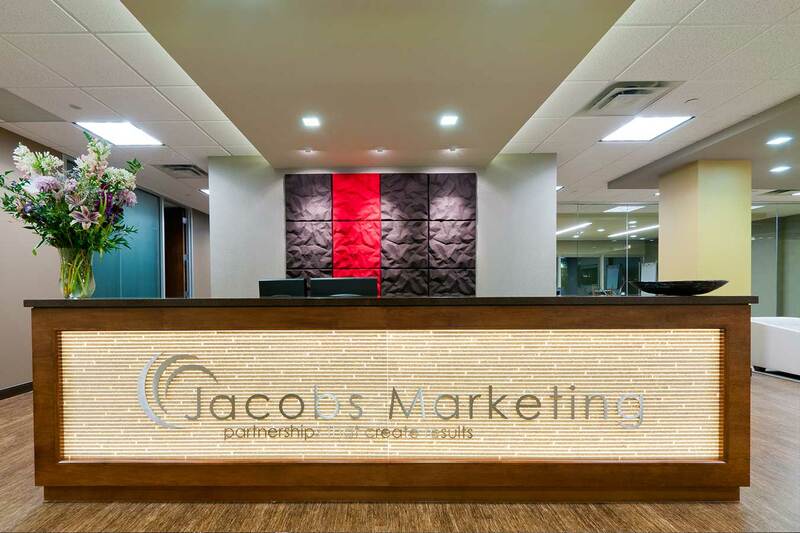 Overall, Jacobs Marketing wanted a space that was professional and reflected their personality as a company. What a pleasure it is to work with Mohagen Hansen. The MH architects and designers do an excellent job of helping to create a construction project team. They do an outstanding job of understanding the challenges that may arise on the job site and are always ready to solve any problem. It is great to get a set of drawings for a job and see that Mohagen Hansen stamp!